For loading purposes, the current guideline states that one end of the container should not have a variance of more than 4,000 lbs from the other end of the container. If the weight distribution within the container is not relatively even, this can render the container incapable of being lifted with a forklift. 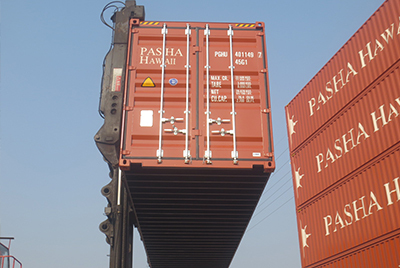 In such cases, every effort will be made to top pick the container onto a bare chassis and then properly stow it on board the vessel. 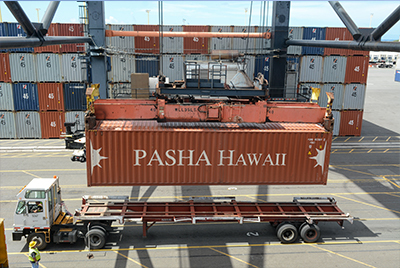 Normally containers are stacked in the vessel, but when the aforementioned loading onto a chassis is required, then double stacking is not possible and the shipment may be subject to additional charges, per tariff.